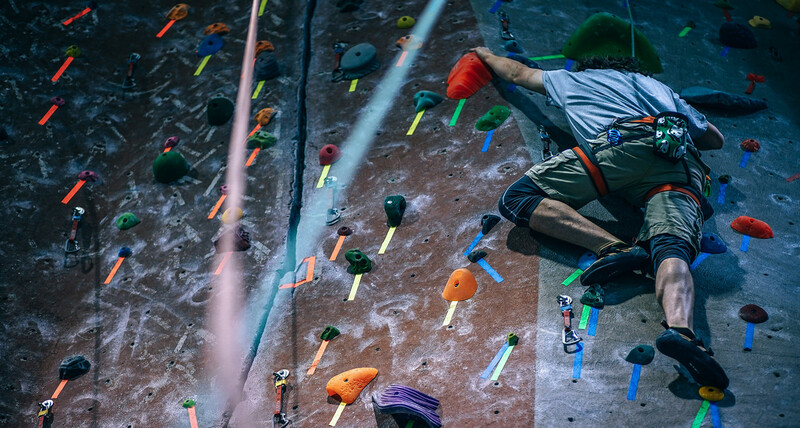 Rock climbing, especially bouldering (the low-level, no-rope climbing style that most people start with), is largely an isometric workout, meaning that you don’t need to move your muscles to build strength. Holding your own bodyweight on the wall is like bench pressing without the back sweat. Combine that with the flexibility and muscle control necessary to lift and curl your legs up to toeholds and the hand strength required to pinch-hold tiny ridges in the wall, and boulderers are essentially going full Spider-Man.